nafez is using Smore newsletters to spread the word online. They were often the most likely people to be the target of racism. The Chinese also found it extremely hard to communicate with the other miners because they spoke a different language. They were usually blamed for things they didn’t do. 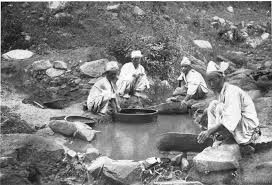 There were a lot of Chinese miners, later on they were regarded as more intelligent miners. The first major violent clash was at Buckland River where European miners charged through the Chinese camps and destroyed property. They usually worked in groups of 30-100 men, under the control of a leader which resulted in their digs being more successful.